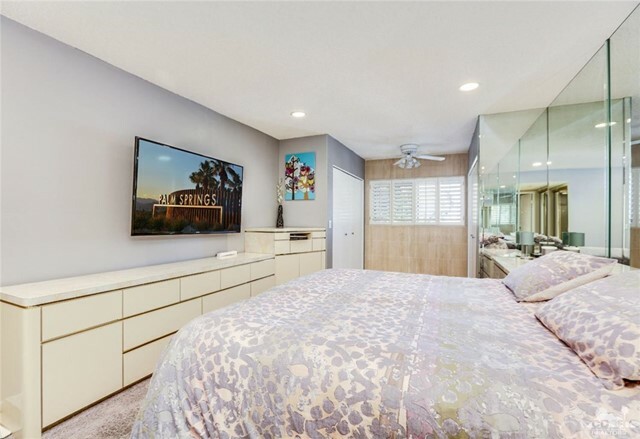 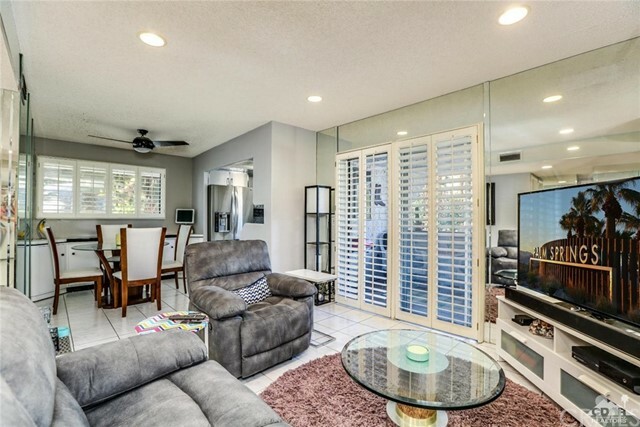 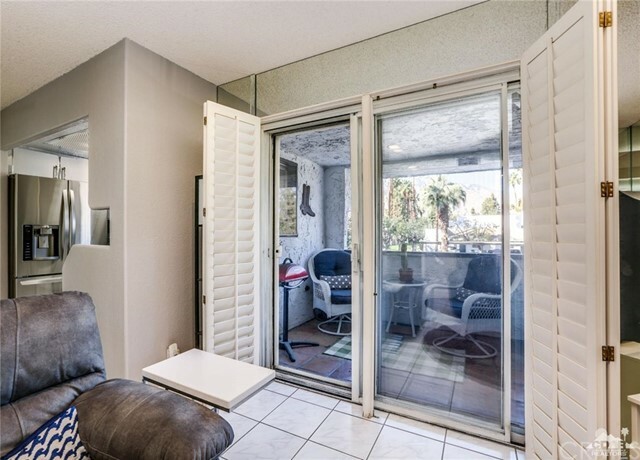 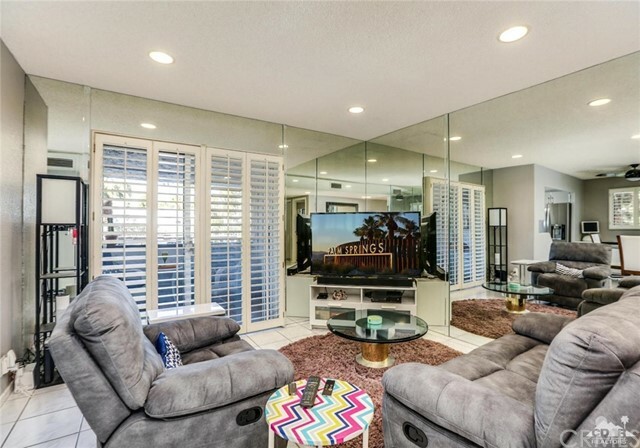 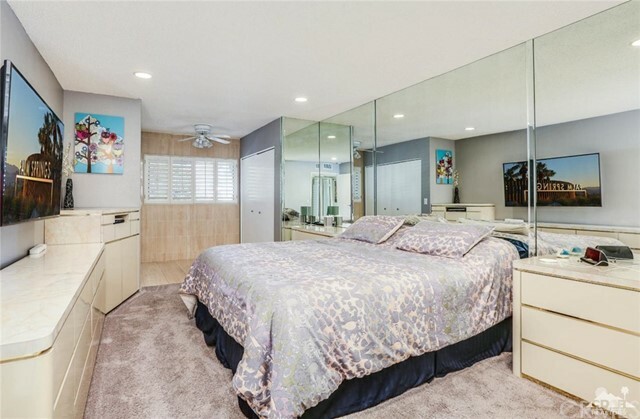 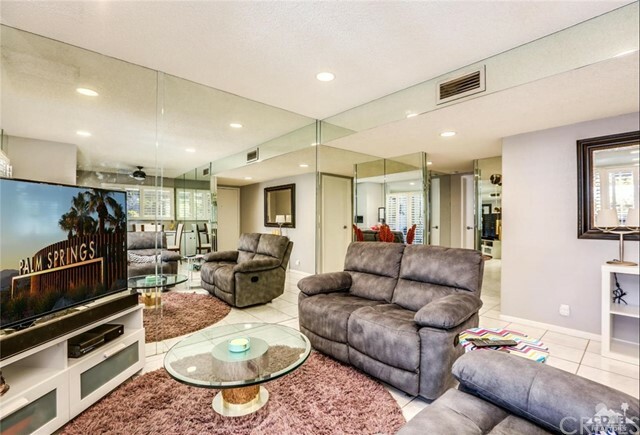 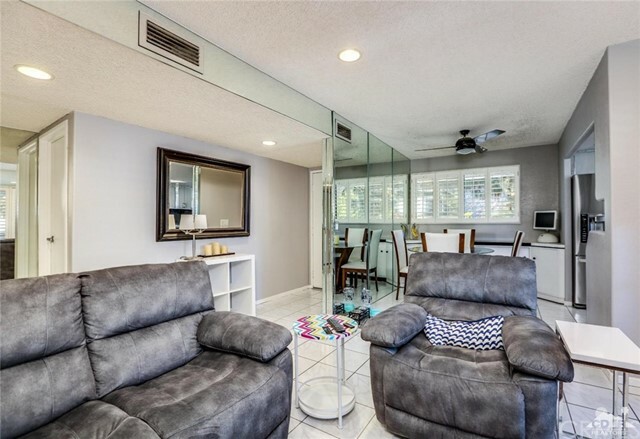 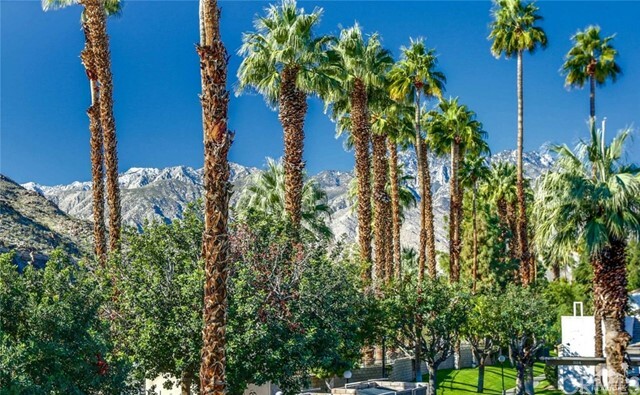 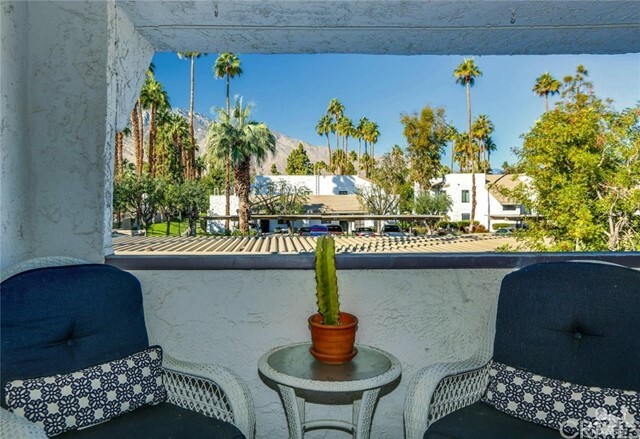 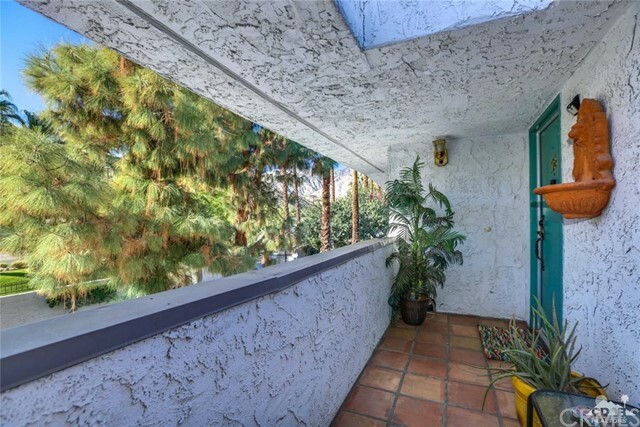 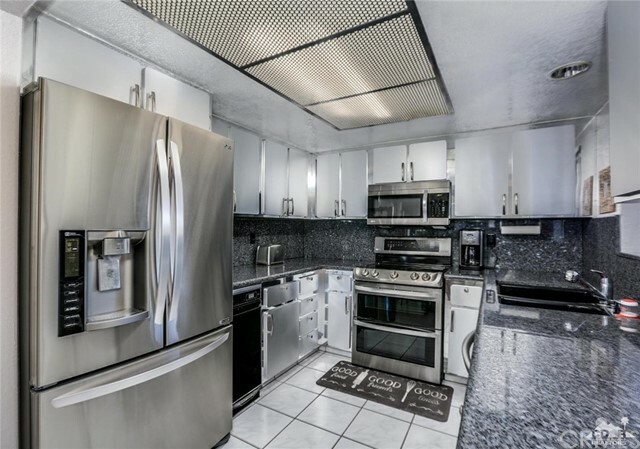 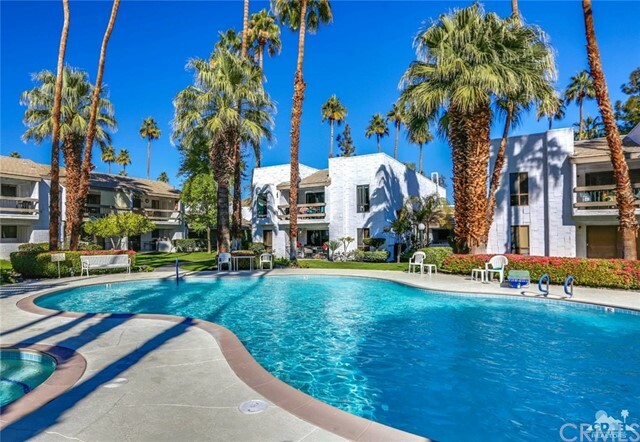 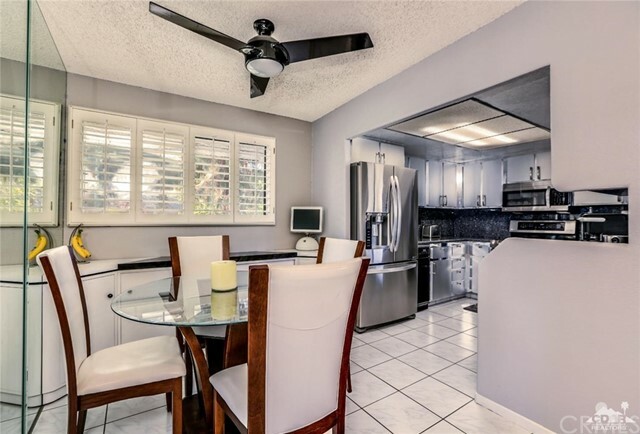 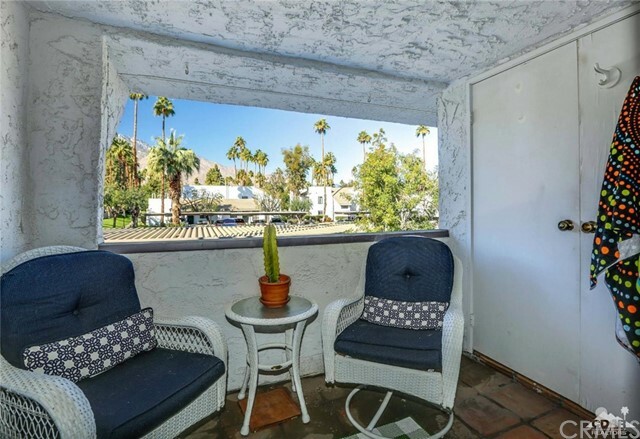 Resort style living at it's finest with this incredible 2 bedroom/2 bathroom condo in a great South Palm Springs location near shopping and entertainment. 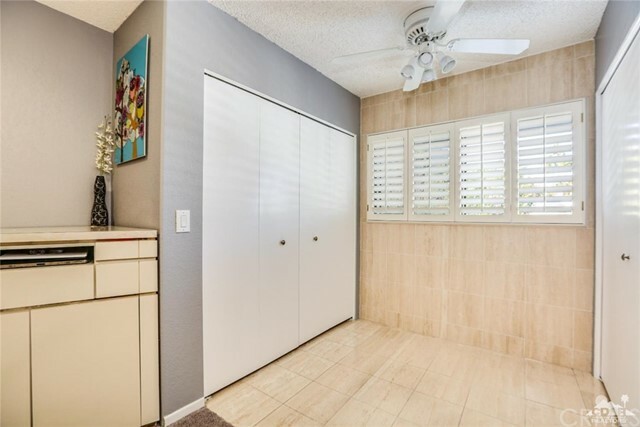 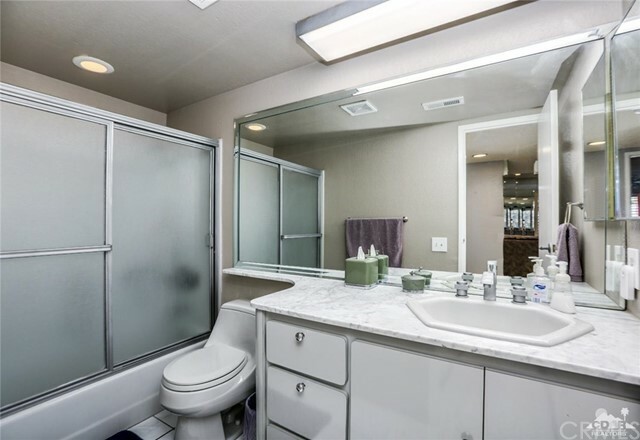 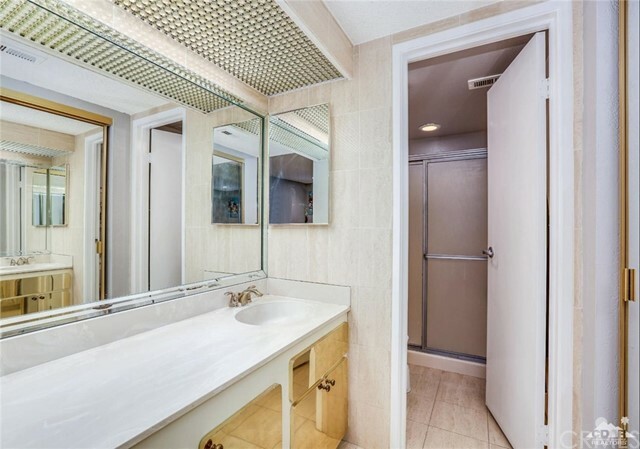 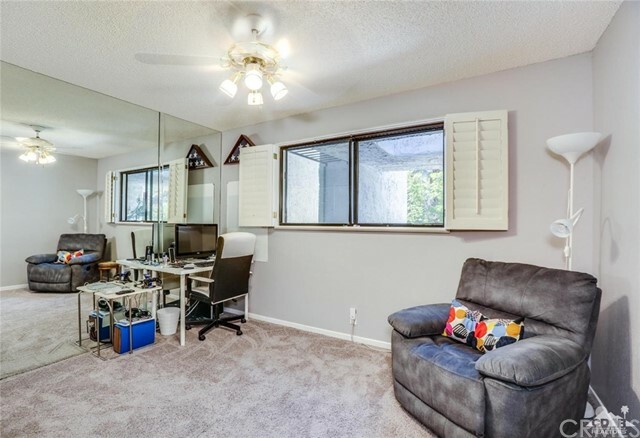 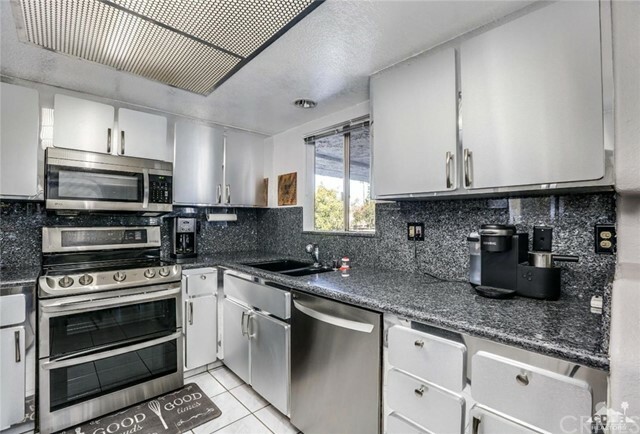 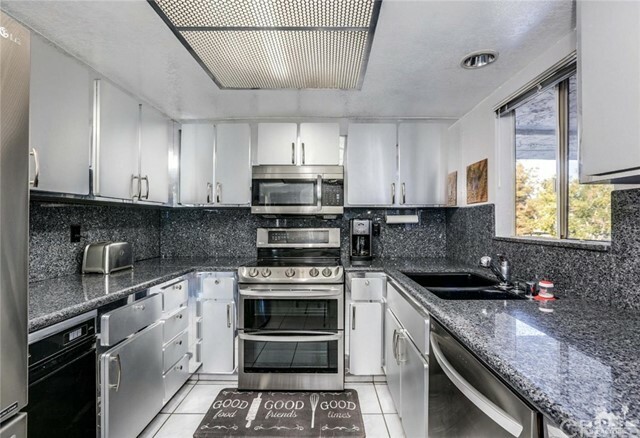 The owner has upgraded and installed new appliances and AC unit within the past 18 months, plus there is brand new carpet in both bedrooms and new interior paint. 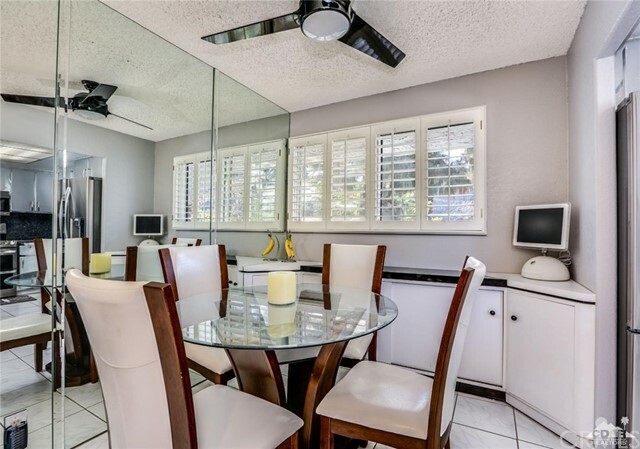 The plantation shutters add a lovely touch to this light and bright condo. 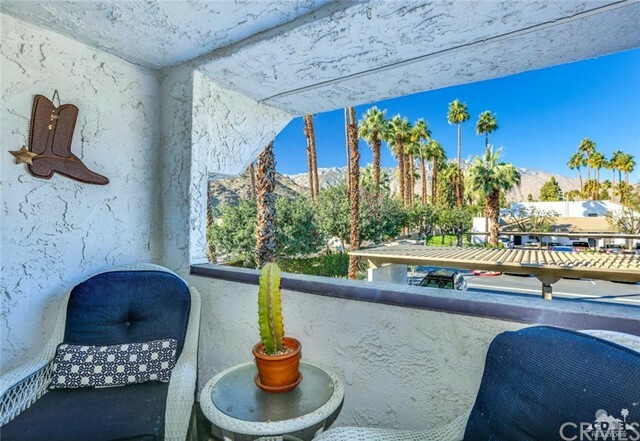 You'll be in love with the mountain views from both bedrooms and living room, complete with outdoor deck with more mountain views. 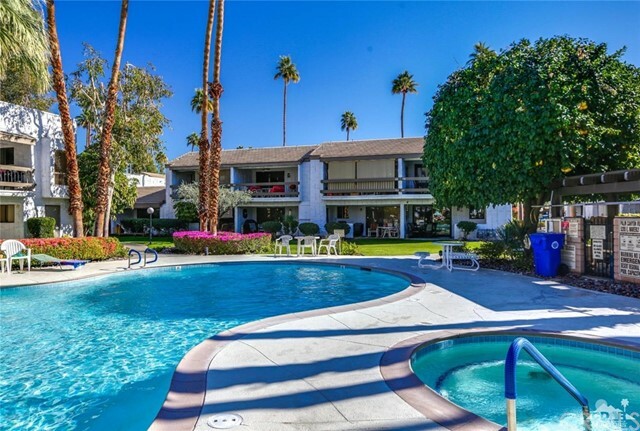 Enjoy the community that features wonderfully maintained landscaping with plenty of fruit trees and has 4 large pools/spas, tennis courts and pickle ball. 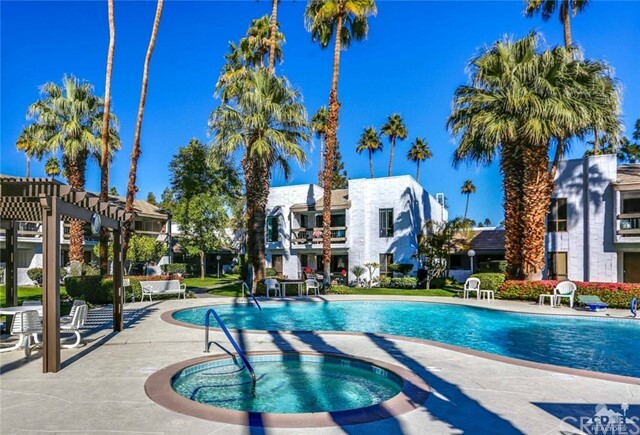 This is one of the few fee simple condos available in this area right now, so don't wait!